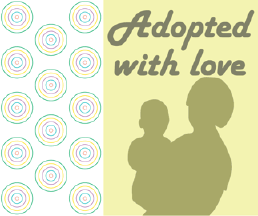 Let everyone know about a new little boy Adopted With Love. This printable birth announcement shows a parent and boy in silhouette. There is room inside for all the details.